Honda has unveiled the all-new CR-V in Los Angeles and the Japanese carmaker will start selling the sport-utility vehicle in the United States on December 15. 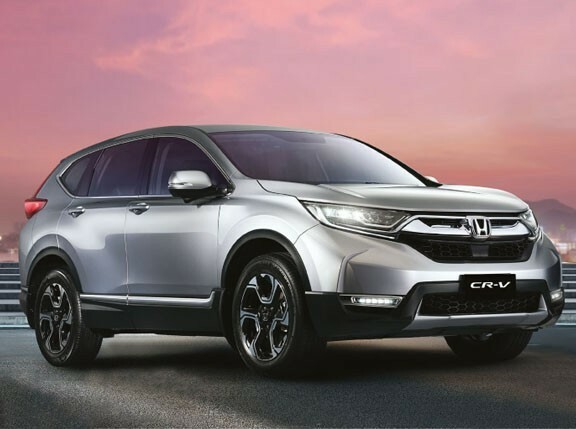 Calling the all-new CRV "an ideal balance for size and capability in the entry SUV segment," the five-passenger crossover vehicles offers improved car-like interior comfort, a smoother and quieter ride and even more innovative features than its predecessor. Leading the changes to the CR-V are a more efficient 2.4-liter i-VTEC inline-four engine that puts out 185hp and 220Nm of torque along with an all-new real-rime all-wheel-drive (AWD) with intelligent control system. Putting down the power to all four wheels is a standard five-speed automatic transmission. A new feature on the CR-V for 2012 is the eco-assist, which alerts the driver when the vehicle is being operated in an efficient style via "green" visual cues surrounding the speedometer. A selectable ECON mode alters the vehicle's operating characteristics to support a more efficient driving style. According to Honda, the CR-V adopts a more dynamic and sophisticated exterior appearance. Its interior layout is more spacious and accommodating with a roomy new center console and an overall lower cargo floor height for easy loading and unloading. The new easy fold-down 60/40 split rear seat makes accessing the full capability of the cargo area much more convenient than traditional folding seats as each side of the rear seat can fold nearly flat into the front of the cargo area using one of the release levers located near the tailgate or a pull-strap positioned on the seat side. With Honda's Thailand plant still deluged by floodwaters, we can only wonder when this all-new CR-V will reach the Philippines' Honda dealers.